Despite the fact that I'm starting a cold, I loved this weekend. 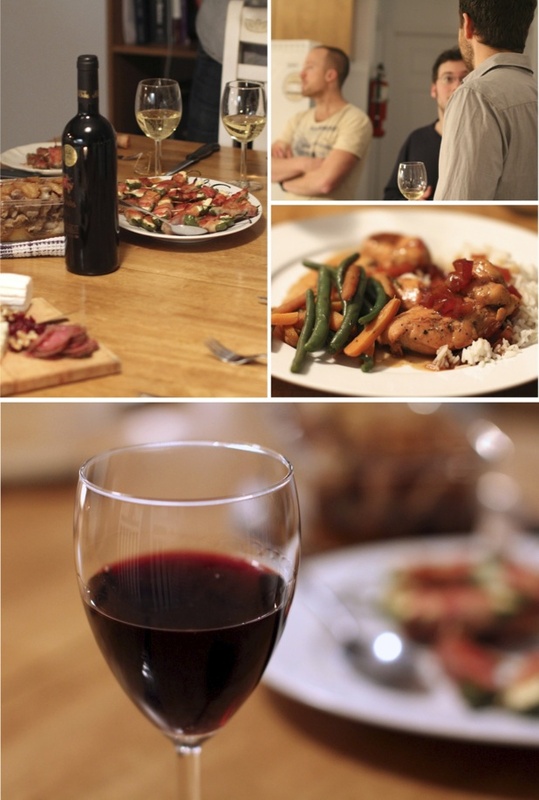 It was relaxing and stress-free, and filled with good food & wine. After a long, luxurious sleep-in, we kick-started the weekend by making delicious breakfast burritos with scrambled eggs & arugula. And then we went for a snowshoe in the woods with a few friends. 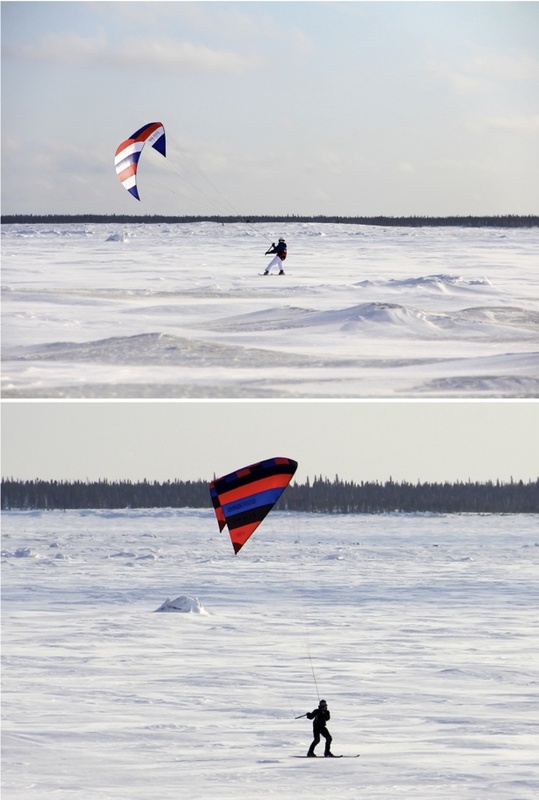 And on Saturday afternoon we drove down to the bay and watched winter kite surfers glide across the frozen ocean. We have new neighbours up here in the north (this is very exciting for us). 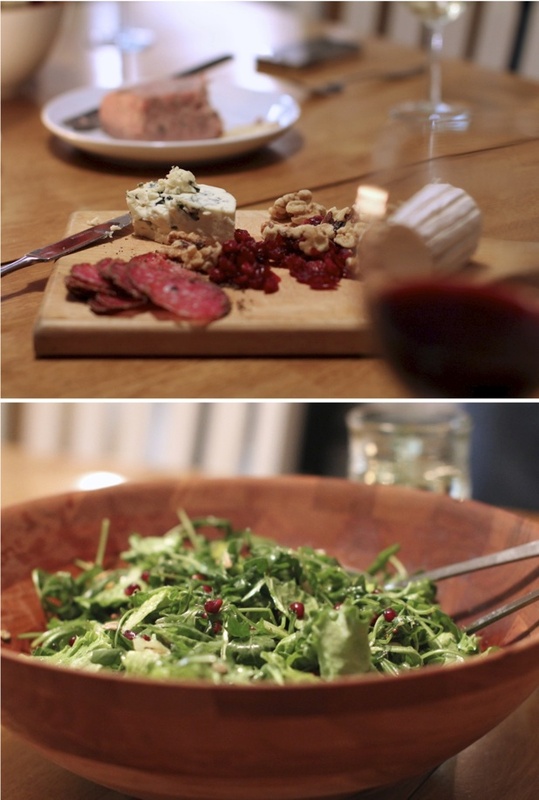 And on Saturday night they invited us over for a lovely neighbourhood pot-luck dinner. There are no restaurants up here, so a well-cooked gourmet meal like this is a real treat! 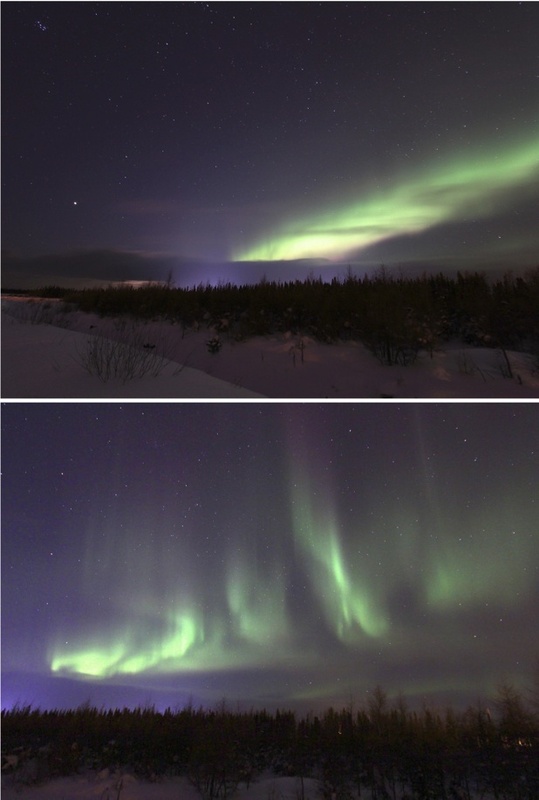 To my delight, the northern lights were out again, and gave us some truly beautiful auroras. The hubby and I stood outside in the cold and watched them until I couldn't feel my fingers anymore.... but it was worth it! It always is. OH my gosh! I'm so jealous! I've been dreaming of getting to see the northern lights! Looks like such a fun and relaxing weekend!!!!! beautiful photos. I've never seen northern lights when I was in Canada in winter. one day!!!! This sounds absolutley lovely. 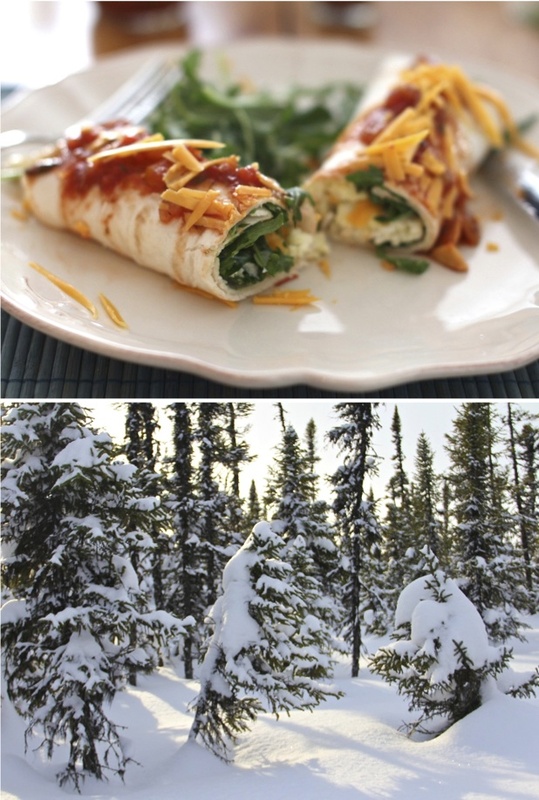 The burrito's look amazing and even as cold as it is, it's still sooo beautiful outside! I totally want to kite surf! New neighbors! Yay! I wonder what the heck they're doing all the way up there. Looks like a perfect dinner party. WOW! Can I trade my weekend for your weekend please? 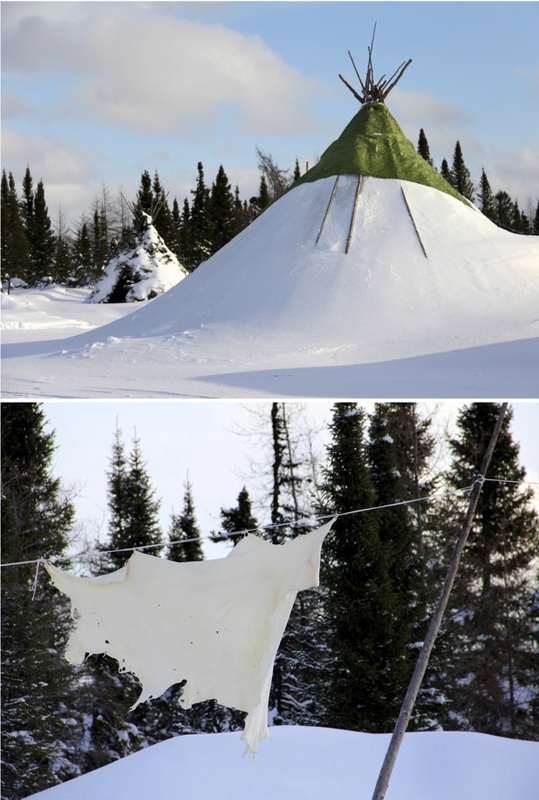 Amazing photos. Everything looks so lovely. Your weekend looks pretty flipping magical. Holy aurora borealis! So beautiful. Sounds like a fantastic weekend. 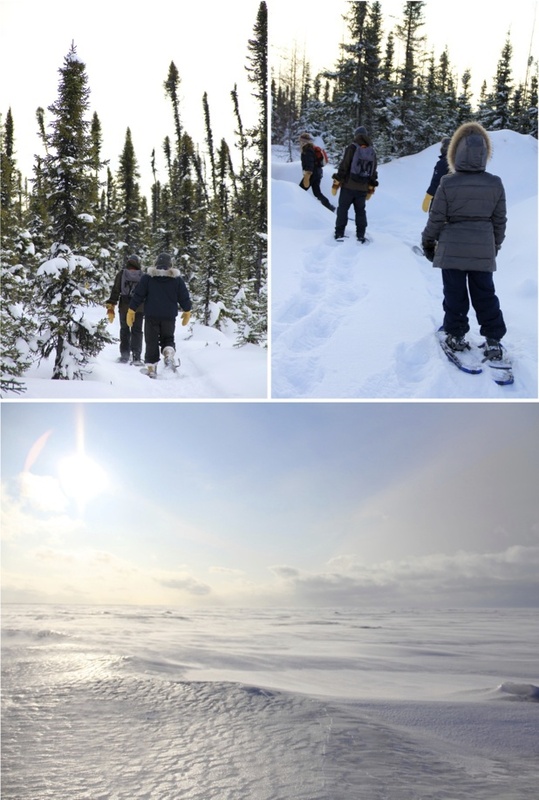 You guys are really making the most of your far North experience! Beautiful pictures, too! Wow! 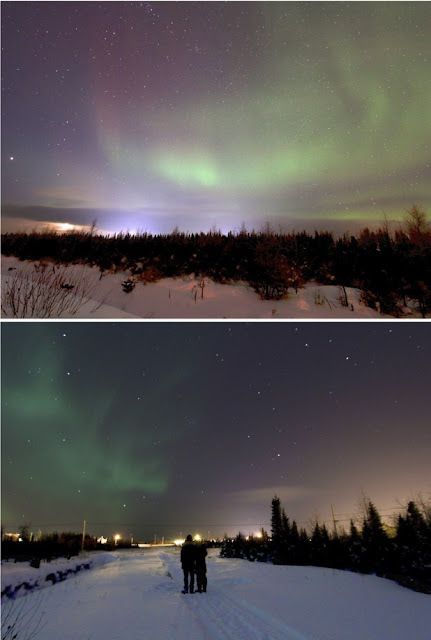 I would love to see the northern lights one day - what a delight it must be to see them frequently!